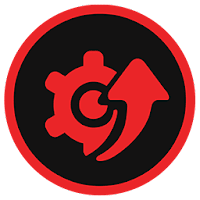 Driver Booster is an effective driver updating tool that helps you to maintain hardware devices by automatically updating and installing outdated, missing, and faulty drivers. It provides a 1-click solution to rapidly & securely update outdated and faulty drivers and install the best matched missing drivers not only for your device drivers but also for your game components. Outdated drivers can significantly affect the performance of your computer and cause system crashes. IObit Driver Booster supports more than 400,000 drivers which covered over 5000 driver factory brands and even rare drivers can be accurately discovered. Users can easily update Realtek Audio Drivers/wireless LAN/network/HD Audio Drivers, Intel Audio/HD Graphics/WLAN/LAN/chipset/rapid storage technology/USB 3.0 Drivers, Nvidia drivers and all important driver packages by Microsoft. To let users enjoy smooth and fast game experience, Driver Booster 4 not only helps improve graphics & audio quality with related up-to-date and compatible PC drivers, but also can detect & update various game components with just one-click, such as PhysX, DirectX, OpenAL, VC Runtime, Adobe Flash, UnityWeb, etc. Besides, it also provides useful and powerful tools in Toolkit to help users fix computer common but headache problems, such as system crash, BSOD, device connection error, audio crackling, no sound issues, no network issues, etc. Disclaimer: Direct downloads for the lastest version of Driver Booster 6.4.0.392 are provided by the official software's author, we can't guarantee safety, availability or download speed. Moreover, we don't and we won't provide any pirated/illegal versions or tools. We recommend you to avoid it as these methods can harm your device. If you like the software, buy it to support the developers. (We provide software discounts for many worldwide brands).